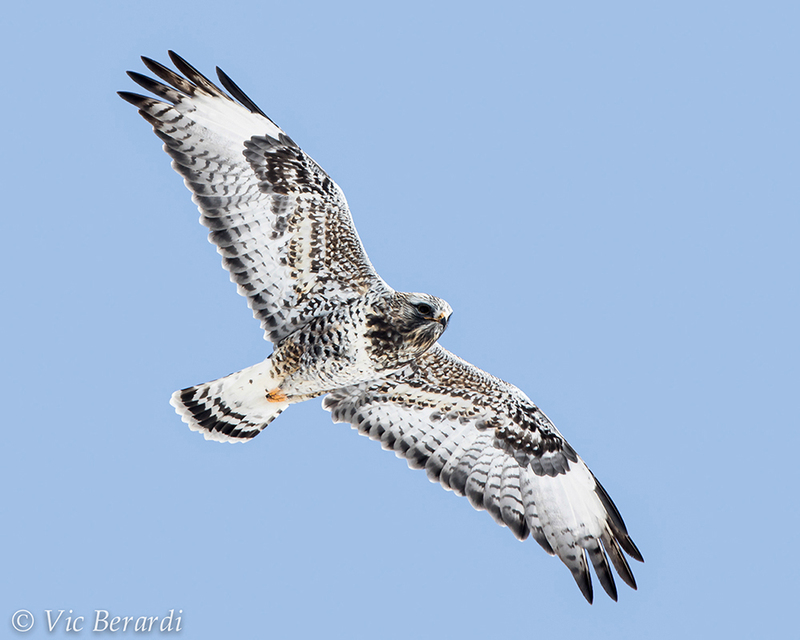 This morning I had mixed feelings about whether or not I should go out and search for some raptors to photograph. After a wonderful breakfast with Annie I read the remainder of the Sunday newspaper and started looking out the window. The day started out overcast and I resigned myself to staying indoors. But something inside of me was stirring to get outside. My entire week is spent inside at a desk and although my job is rewarding it’s really the outdoors that I find my comfort. There are so many emotions that play inside of you when you face this kind of dilemma. First there’s desire, the desire to get out and see what you can find. Then there’s guilt, guilt in not getting things done at home that need to get done. After 2 hours of struggling internally with myself and staring out the kitchen window while pacing back and forth, I decided to go out for a few hours and see what I could find. I loaded up our Honda CRV with my “lighter” camera gear and headed north into southeastern Wisconsin. During my drive time I played some tunes from my iPhone and my somber mood quickly changed to an upbeat one. But nothing makes my heart stir more than seeing a beautiful raptor to photograph. 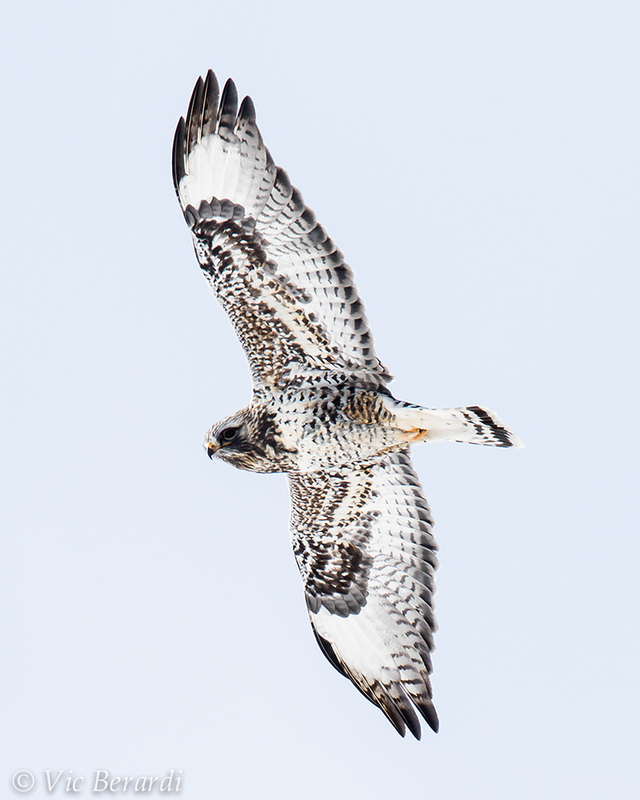 And lucky for me I came across this gorgeous adult male Rough-legged Hawk. It was most likely a bird passing through and heading north to the arctic where it breeds. I got to spend a couple of hours watching this bird hunt and rest. It flew near me twice and I got these photos here. Click on photo to enlarge, hit Back button to return. I guess the thing to always keep in mind is to follow your heart and do what you want to do. Life is short, very short. And don’t let anything stand in your way to make yourself fulfilled with happiness wherever and however you can find it! All images © Copyright Vic Berardi and cannot be used for any purposes without written permission. Perfect sentiment, and incredible bird! Thanks Jerry! That bird was even more beautiful in person!! Exactly Mary, thanks for the comment! Glad you got out this weekend Vic! Beautiful shots, as usual! Looks like the 3-6 inches missed us this time but still plenty of snow, as you would say, to light these birds up from underneath. It’s always nice to get out if/when you can and decompress from the work-week. Looks like you made the right call this time! Thanks Robert! You know what it’s like to get that feeling! !